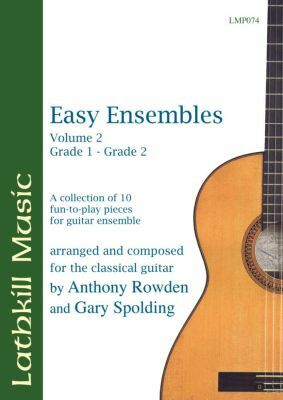 Easy Ensembles is a collection of 'fun to play and effective to listen to' ensemble arrangements and compositions in two graded volumes. This volume is aimed at the Grade 1-Grade 2 group. Each piece can be played one person to a part or can be shared amongst a larger group with effective doubling on the melody or to give more security to less confident individuals. Titles are: The Ash Grove (Traditional); See, the Conquering Hero Comes (Handel); Buffens (Estree); O Little Town of Bethlehem (Redner); La Primavera (Vivaldi); My Grandfather's Clock (Work); The Fair (Traditional); English Country Garden (Traditional); Gavotte (Handel); Ballo di Fiore (Caroso).